For months, the entire country has been waiting on pins and needles for the EPA to release the official 2017 Fuel Economy Guide. Well, that is probably what the bureaucrats that work there think. Nonetheless, it has now been released and gives you a research tool to use in the car shopping process. After detailed study of the data, we have determined that the data contained in the report doesn't really matter to car shoppers unless you are concerned about your carbon footprint. Instinctively, you are probably calling me an idiot for drawing this conclusion. Let us take a look at an extreme example to illustrate my conclusion. The most efficient, standard (non-hybrid, non-electric) vehicle is the smart fortwo that clocks in at 35 MPG combined city and highway. A Ford F150 with four wheel drive and a 5.0 liter V-8 engine is listed at 17 MPG combined. At first glance, that looks like a huge difference in fuel economy since the s fortwo gets over twice the gas mileage. However, we need to see what this means in a practical sense. Currently, the average gas price is about $2.12 per gallon. On average, Americans drive 13,476 miles per year. Going with these averages, the F150 will cost you about $864 more for gas each year (about $17 per week). I don't discount that the $17 a week you save can be put to use on something else but I used an extreme example. Normally, people aren't deciding between an ultra compact car and a full sized pickup truck. Decisions are usually made between vehicles that are close in size or between engine options in the same vehicle. A typical decision somebody will make can be analyzed by looking at the Toyota Camry. It has two engine options (not counting the hybrid model). The 2.5L, 4 cylinder engine gets 27 MPG and the 3.5L V6 engine gets 24 MPG. Using the same averages from the F150 example, the V6 will cost $132 more to fuel each year than the 4 cylinder. This difference works out to $2.54 per week which doesn't have much impact on your budget. Therefore, if you like the performance of the V6 better, the fuel economy difference shouldn't sway you to a smaller engine. Since Toyota offers a hybrid version of the Camry it is easy to see if the fuel savings make the extra cost of the hybrid worthwhile. The Camry XLE Hybrid gets 38 MPG and has a $3,830 higher MSRP than the V6 XLE. At current gas prices, you'll save about $438 per year in fuel costs with the hybrid vs. the V6. That means that it will take over eight years to save the difference in MSRP, not including interest costs. Unless you think gas prices will rise dramatically or you intend to keep the car for a long time, it is not worth the extra money to get the hybrid. Is Anything in the Report Useful? There is one potentially useful piece of information inside the Fuel Economy Guide. It relates to the tax incentives available for plug-in hybrid or an electric vehicle. Since battery technology is too costly to offer these types of vehicles at competitive prices, the government is offering corporate welfare in the form of tax credits. If you purchase one of these vehicles you will be eligible for an income tax credit of up to $7,500. An individual earning $55,000 a year can pretty much wipe out their entire income tax bill for the year with this credit. Keep in mind that "normal" hybrid vehicles do not qualify for this credit, only plug-in hybrids or pure electric vehicles. You can look up the fuel economy of any vehicle you are considering at fueleconomy.gov. The best way to save money is to follow the strategies that we teach in our new car buying guide instead of worrying about a few hundred dollars per year at best in fuel cost savings. Our advice will save you thousands off of MSRP which will save you a lot each year in payments. Pay attention to all aspects of the deal and use competition to your advantage. Begin by visiting TrueCar, see what others in you area have actually paid for a particular model and use the guaranteed price certificate that they offer is great to use a ceiling in your price negotiations. 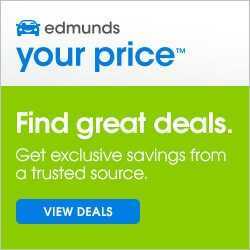 Amp up the competition using trustworthy sites like CarClearanceDeals and Edmunds.